Who We Are | Truitt Insurance & Bonding, Inc. Founded in 1991, Truitt Insurance & Bonding is proud of our history and strongly believes in the future direction of our firm. 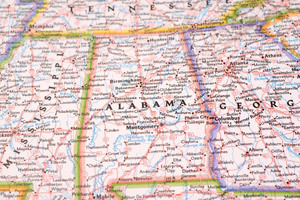 Based in Birmingham, Alabama, we work to meet the insurance and bonding needs of businesses and individuals throughout our state. Over the years, we have also enjoyed working with clients in Florida, Tennessee, Mississippi, Georgia and even as far away as California, New York and many places in between. Who would have thought when we started that we would not only have been able to work on commercial, home / auto, life and surety accounts all over Alabama but also to insure real estate properties in the Midwest, work with contractors on projects all over the United States or bond the US Government for real estate closings among other things? Who would have also thought we would have acquired another agency that gives us roots in Alabama all the way back to 1888? We have built our firm from scratch, starting on our first day when all we had was a post-office box, simple values and an even more simple philosophy: If we keep working hard, good things will happen. This approach has worked well for two decades now so we see no need to change it. Like most business owners, we want to grow but we especially want to do it the right way. We are focused on building a firm the people of Alabama can be proud to say is one of their own. As we look forward, we do have a new goal for our next 20 years and it is ambitious. We want to be the most recognized and trusted, local provider of insurance and bonding products in Alabama. We are currently busy establishing a statewide network of agents to better serve your needs, keeping up with the latest in our field’s technology offerings and continuing to further our relationships with the fantastic carriers we represent so we can meet this goal. We feel we have truly been blessed to be here 20 years after we started. We invite you to find out more about Truitt Insurance & Bonding and we would love for you to be a part of Team Truitt, either as a satisfied client or possibly even to help you find a career with us. Always feel free to contact us anytime or stop in to see us at our home office location in Birmingham. We welcome an opportunity to get to know you.